Graphic Design and Marching Band! I'm really excited for this up coming school year. So many things to do! I know it's only the first week but I'm already overwhelmed with what this semester will bring. I'm not enrolled in that many classes so I expect no less than an "A" in each one of them. There are a few classes that i'm really excited for. First class is Marching Band. Yes, that's right, I'm a band geek. Although, I really don't like that term. I am a proud member of the Thunder Wolf Marching Band. This seasons show is called "Don't Stop Beliving". The show features music from Journey. For the past two weeks me and the other band members have been in band camp. So before the school year even starts is that we've already made new friends. I play cymbals. it's generally an easy instrument to play and memorize the music. The difficulty of the instrument comes in being brave enough to be heard. It's a fun instrument. My favorite part is to do cymbal visuals. Next class is graphic design II. My emphasis is in graphic design and I'm really excited for this semesters emphasis on typography. Although I tend to fall asleep whenever I study typography, I still find it very interesting. On the first day we did group projects as a way to get to know each other. It's fun meeting other artists and designers. 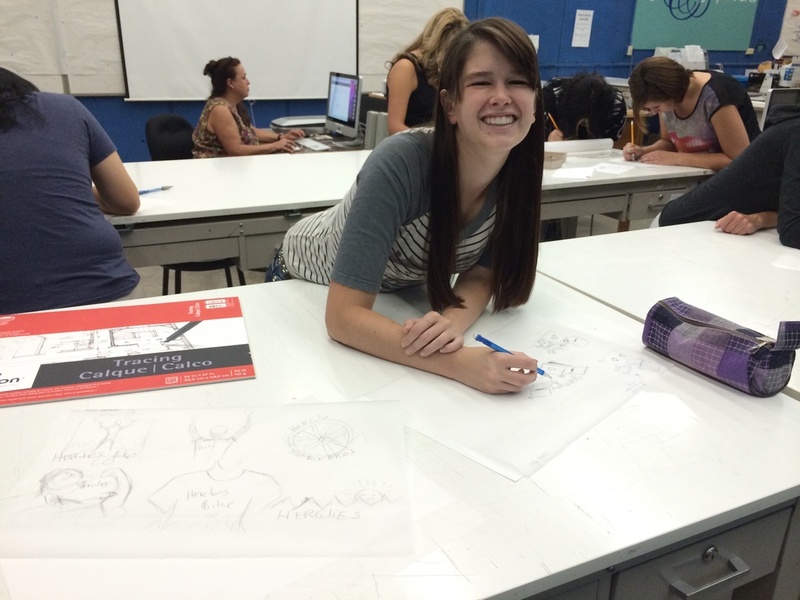 Working on logo designs with my classmate! We each had to design a logo based on the name of the company. 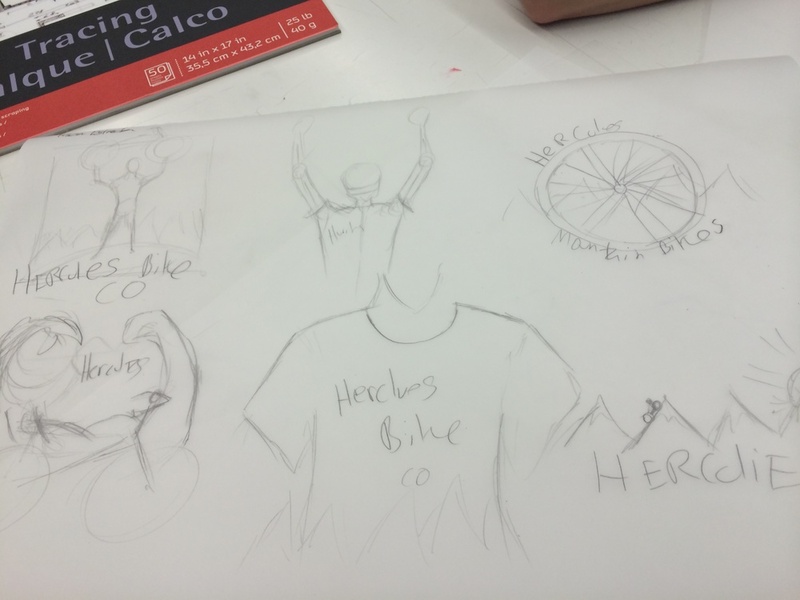 My company was called Hercules which was a mountain bike company. Winner of the designs. I want to fixe the anatomy of this figure. My chosen design to refine. My drawing skills are a bit rusty at the moment. we also had to bring in a couple of examples of good and bad design. We were going to practice giving critics about what we brought. I decided to borrow a poster from the music department as my example of bad design. It was funny hearing the designers harshly critic the poster. I'm also taking a marketing class this semester. i'm really excited for this class because it will be the first business class I've taken. I guess i'm both excited and nervous. I'm not really good at thinking like a business person at times. I'm sure I'll be fine if I work hard.